Well, in my part of the country, anyway, every town has a Baptist church. 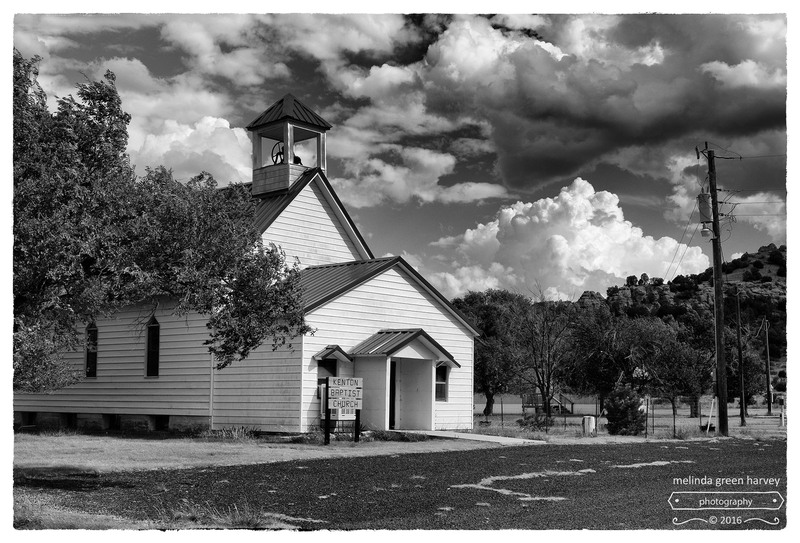 Posted on November 19, 2016, in Photography and tagged 365 photo project, black and white photography, Kenton, Kenton Baptist Church, Kenton Oklahoma, Leica, melinda green harvey, monochrome, oklahoma, one day one image, photo a day, photography, postaday. Bookmark the permalink. 6 Comments. That’s much the same over here on the UK, although sometimes the Baptists slug it out with the Methodists. Dramatic sky in this one, Melinda. Can you tell who’s winning between the Baptists and the Methodists?! We had good skies that entire day. I like days like that! Me, too! These clouds were especially nice, I thought.